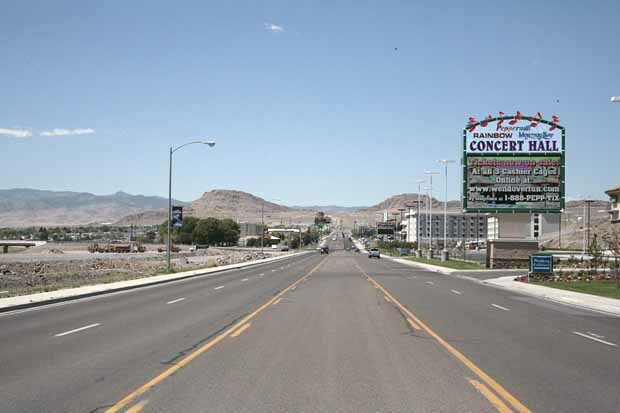 The town of Wendover spills across the Utah/Nevada border on Interstate Highway 80. There is evidence that prehistoric people lived in the vicinity of present day Wendover, but the first recorded Anglo-European to pass this way was John C, Fremont in 1845. The Western Pacific Railroad established a watering station here in 1907 and named the place for one of their employees Charles Wendover. 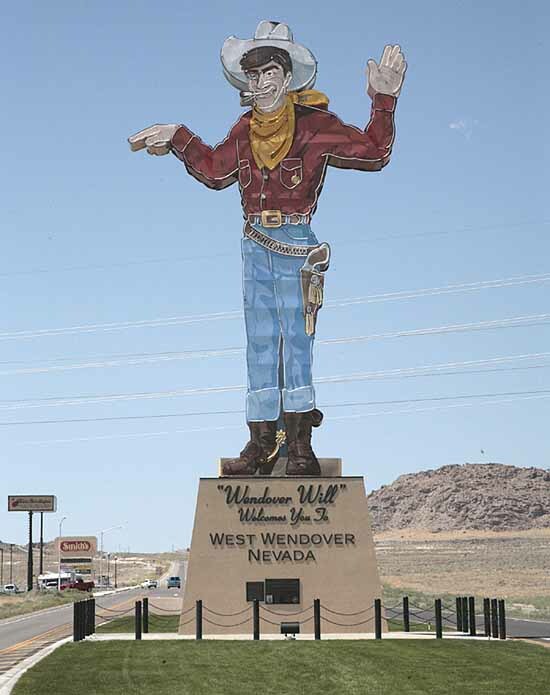 In the 1920s, Bill Smith built a gas station in Wendover as people started to drive across the desert. During World War II, a bomber training base was built here and the crews that dropped the atomic bombs on Japan trained here. 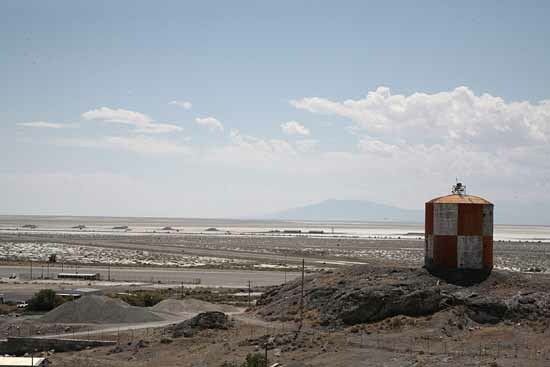 Today, it is an island of casinos on the Utah border and a base of operations for those interested in activities on nearby Bonneville Salt Flats.